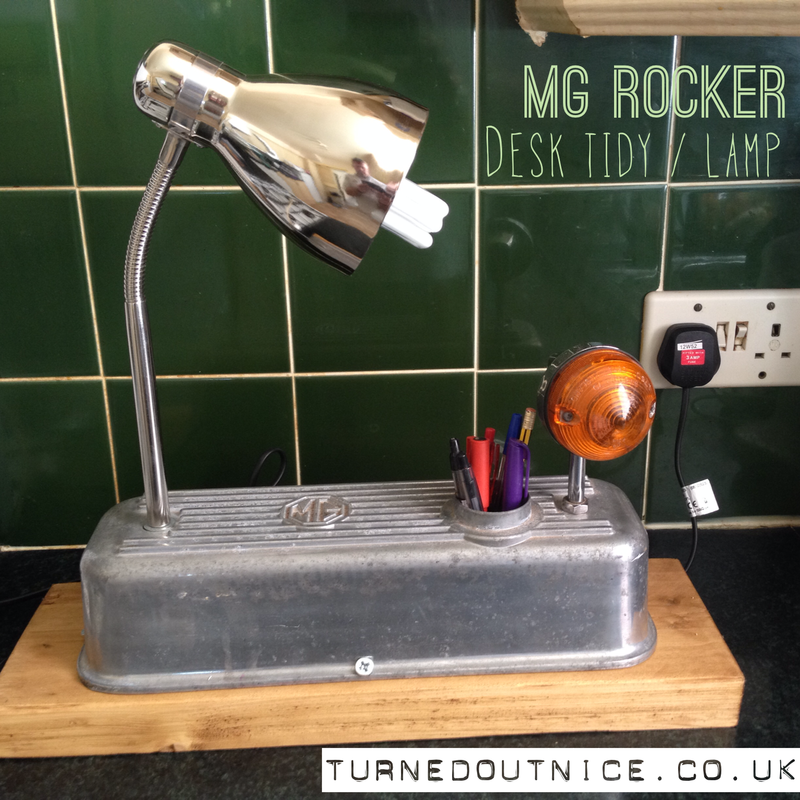 Using another base from the awesome Woodhouse (Stocks Rd, Ashton, Preston) which has been stained and waxed, this MG Rocker Desk Tidy has a low wattage bulb. 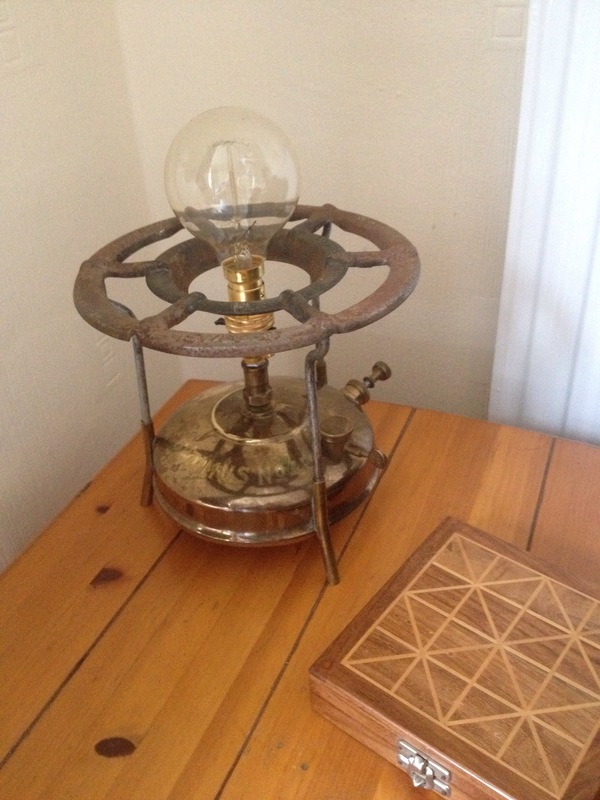 The lamp is a brand new chain store lamp with the base removed. The rocker cover has had the standard fitting ground out to allow the lamp to fit. The indicator is a fun addition for petrol heads. Finally the oil duct is cleaned and has a plastic cup added so whatever pens are stored cannot be lost inside the desk tidy. It will make it into Life’s Little Larks on Glovers Court. 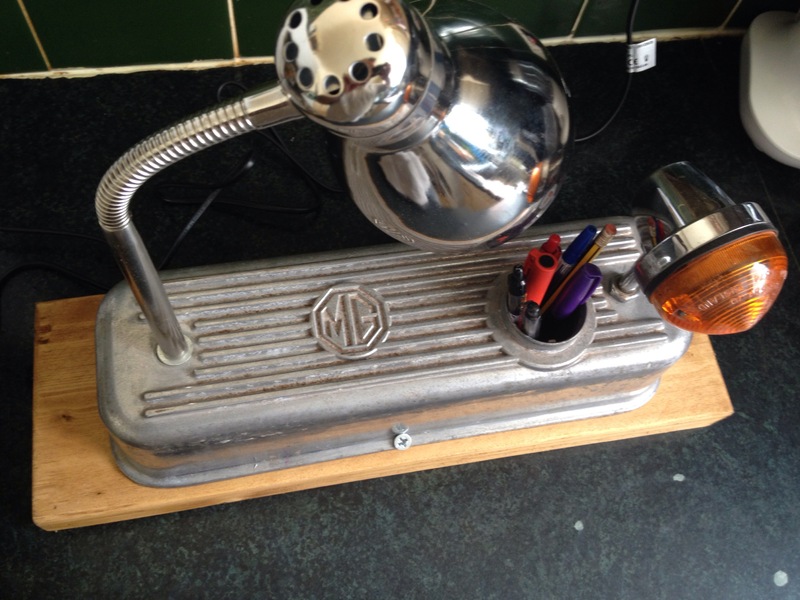 It will grace any petrol head’s desk. Using a series A rocker cover I’ve had some fun making this. Not least meeting the awesome team at The Woodhouse in Preston. They do in wood everything I do in up cycling engine bits and bobs and more! As an education project they are fantastic. They fit into the #legup idea. Damian and his crew supplied the base for this (and my next project) hand cutting recycled timber for me. 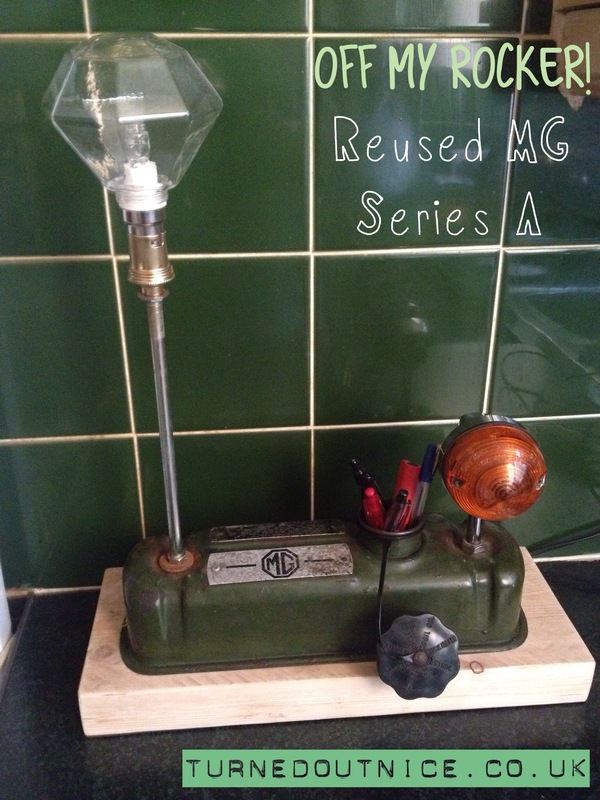 There’s a Lucas indicator added for fun and a repurposed lamp with new retro bulb. This is a 28w bulb with a screw over dimple bulb. It gives a fantastic light to work to. 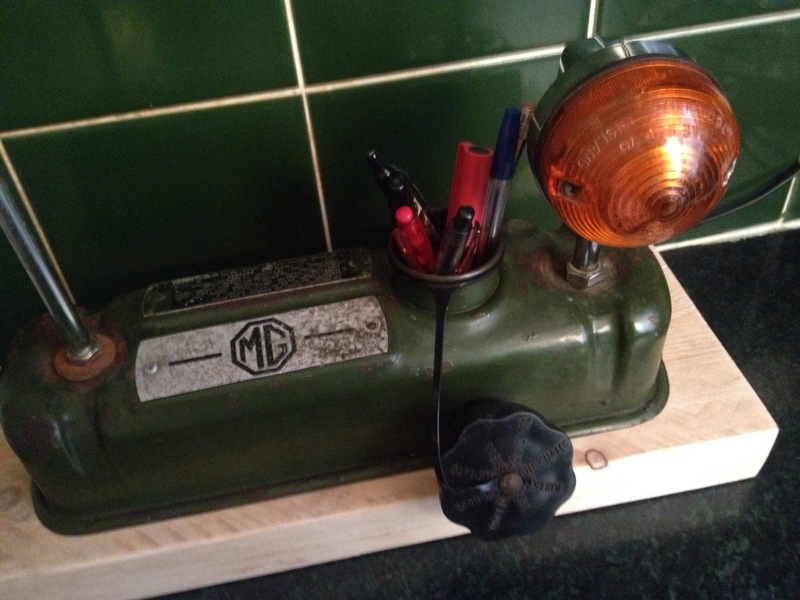 The desk tidy is completed with pen tidy (there’s a cup insert inside the rocker) whilst retaining the period oil cap. Stocked at Life’s Little Larks, Glovers Court, Preston, in ‘the man corner.’ Make sure you get to Stocks Road in Ashton too, for The Woodhouse. I’m sure you’ll be pleased you did. 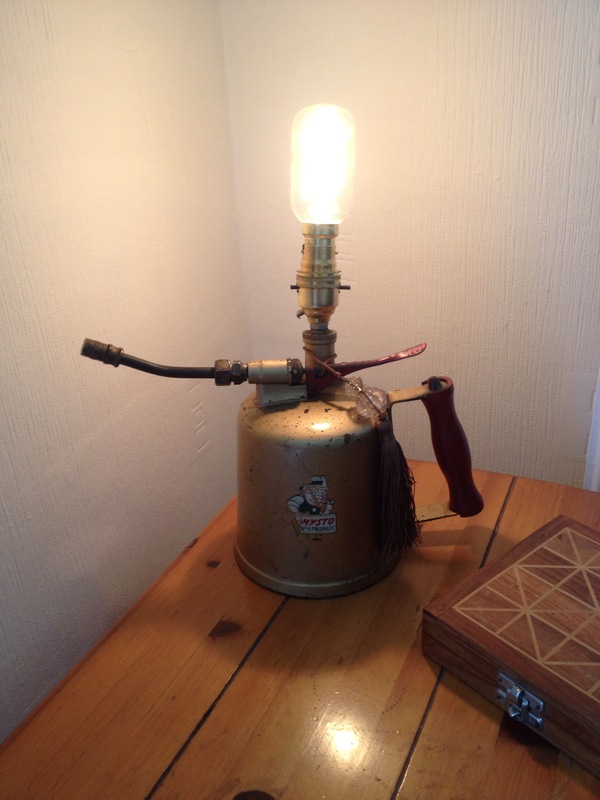 The lamp base is a repurposed No6 Mysto pump spray gun from the 50’s/60’s. 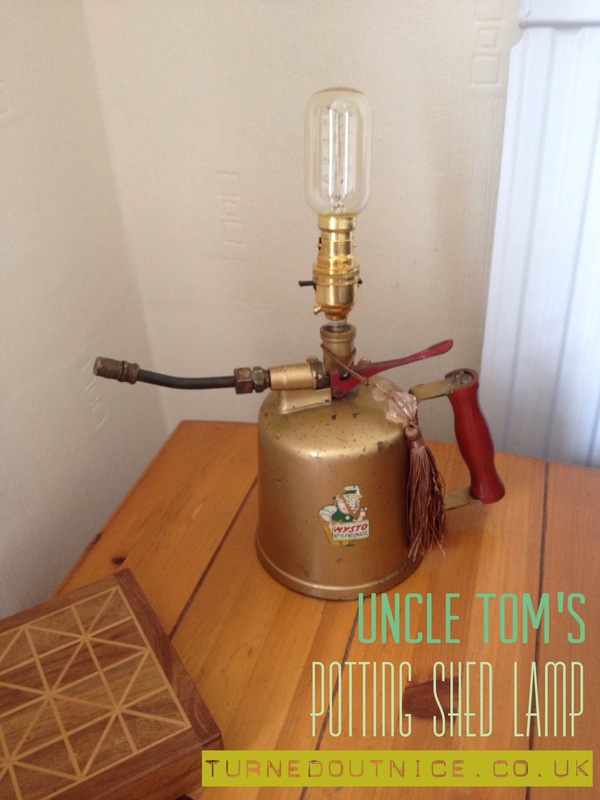 Was Uncle Tom and his awesome potting shed the inspiration for the logo? I hope so! 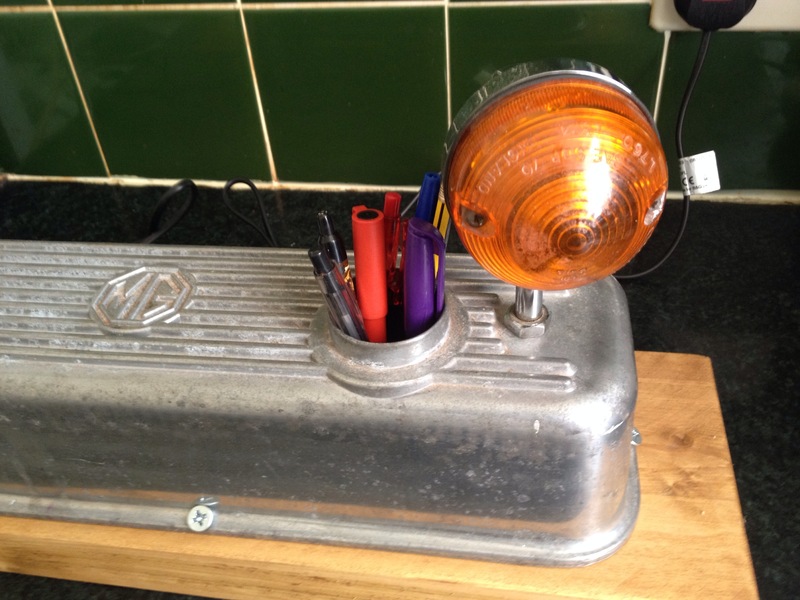 The lamp benefits from new electrics throughout, a suitable 5 amp fuse, (how many new ones just have an over the top 13 amp in?) 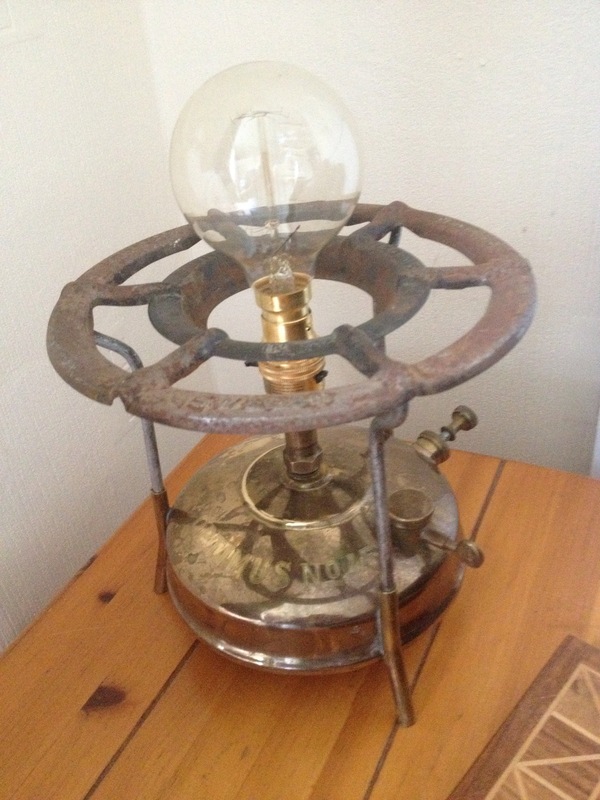 and a new, but “old school” ladder bulb. 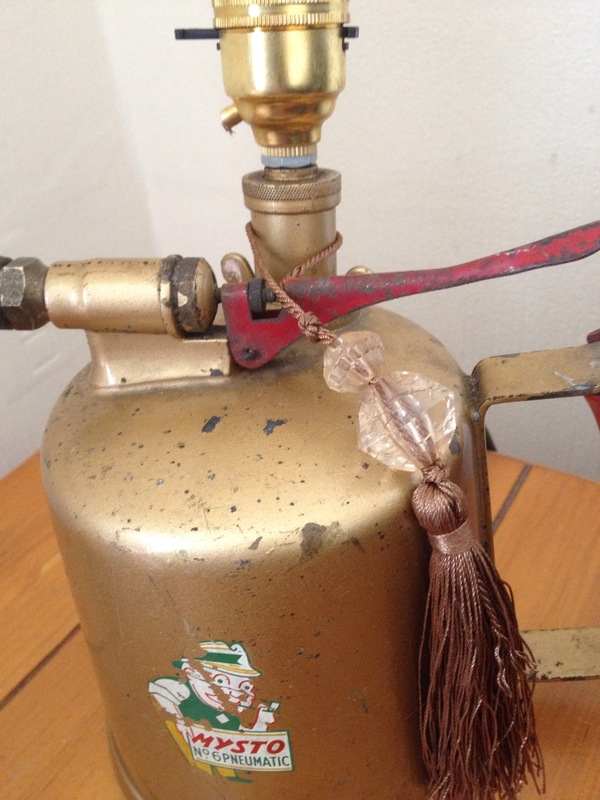 I’ve embellished it with a crystal and tassel. 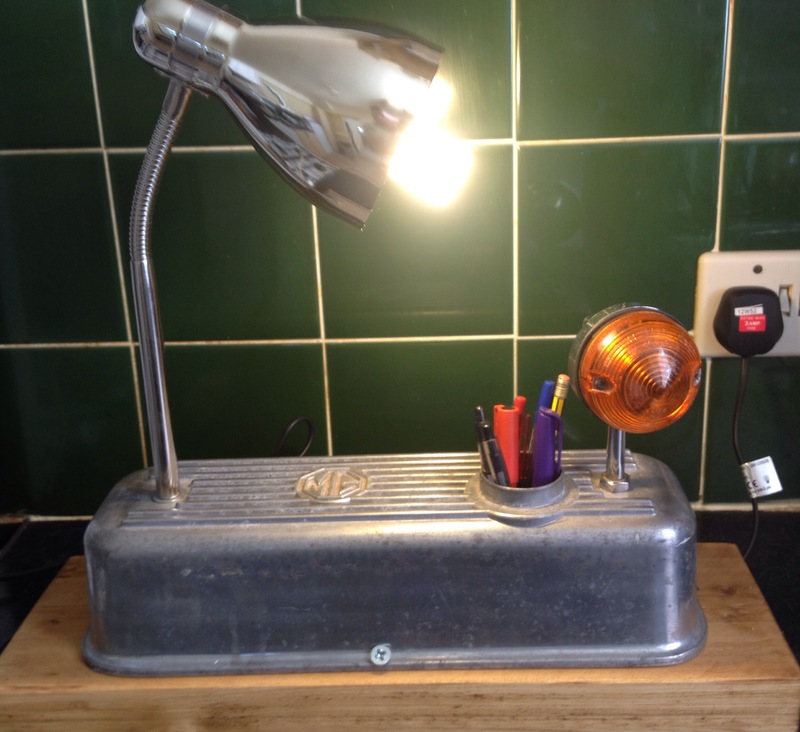 This spreads a warm glow whether sheltering with a brew in the shed from a shower, or using it as a desk lamp or statement piece. As ever it will be available from Life’s Little Larks, Glovers Court, Preston from the morning. I’m off to see what other treasures are in Old Tom’s shed. 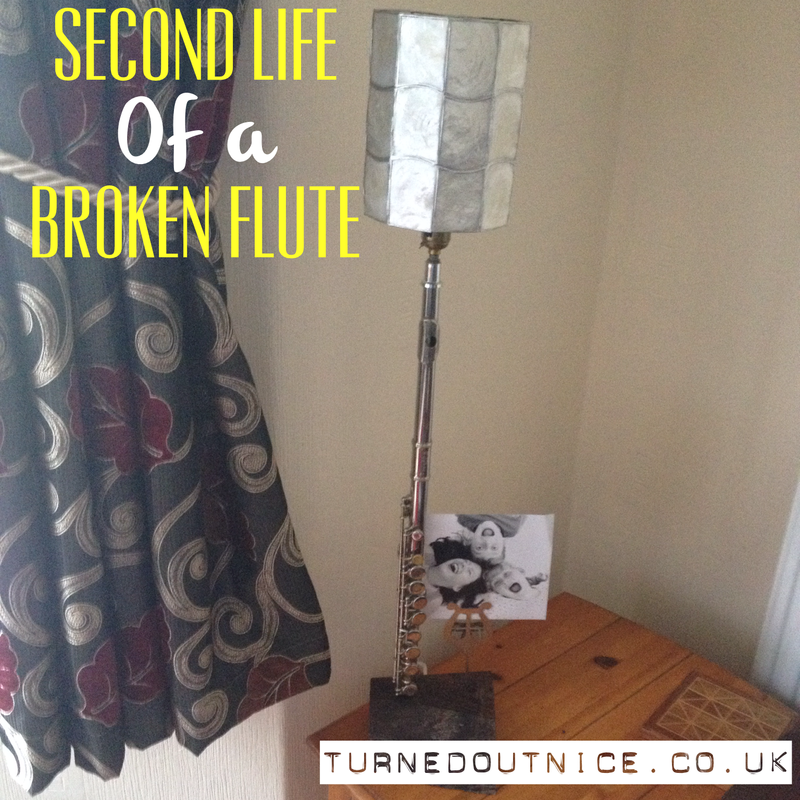 New life for a broken flute. 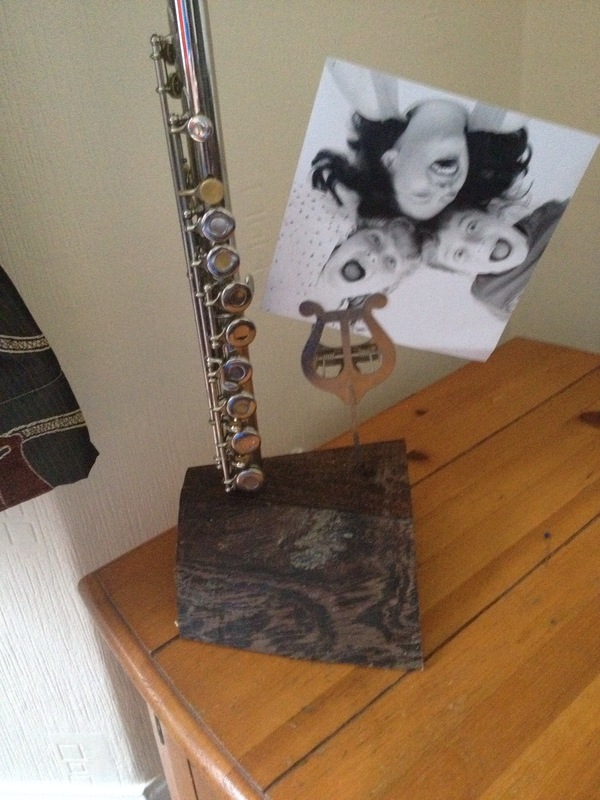 I had fun repurposing this broken (there were only two of the three bits) flute. 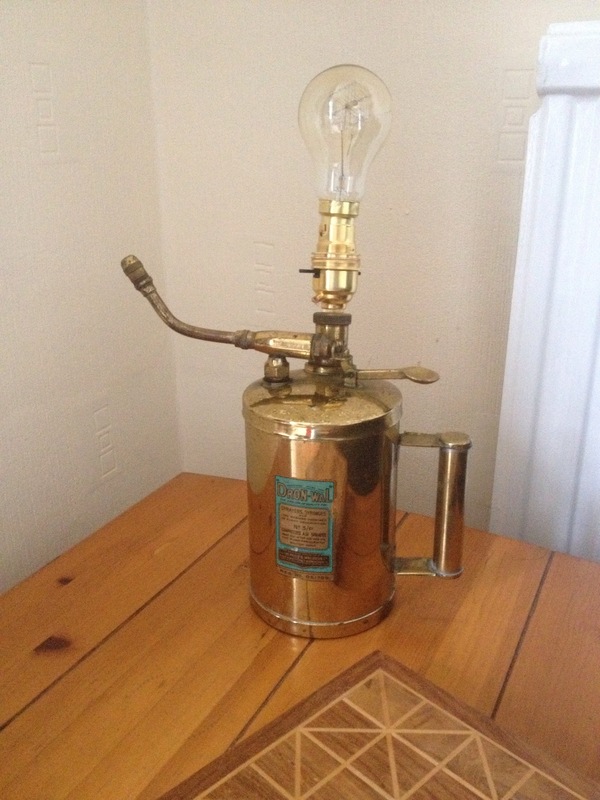 I’ve added a safety (won’t work without a bulb in) brass fitting at the top. The base is a lump of hardwood sanded and waxed, think it’s wenge. There’s a cable pull to keep it all safe at the back, and the flourish is a trumpet music stand which makes a great photo holder. Have a great Saturday. It’s off for a prominent place at Life’s Little Larks, Glovers Court, Preston. As I said in my last post, see below, I was really lucky in hunting down stock last weekend. 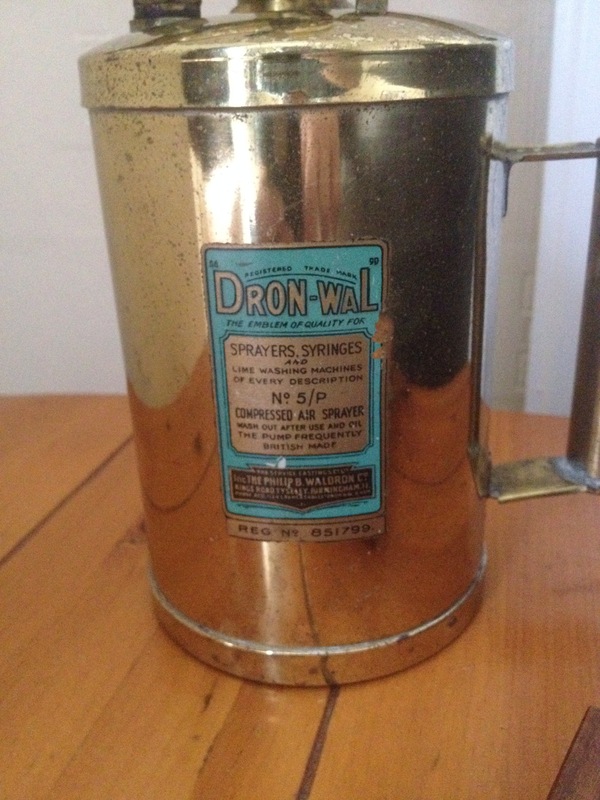 Say hello to the Dron-Wal sprayer. 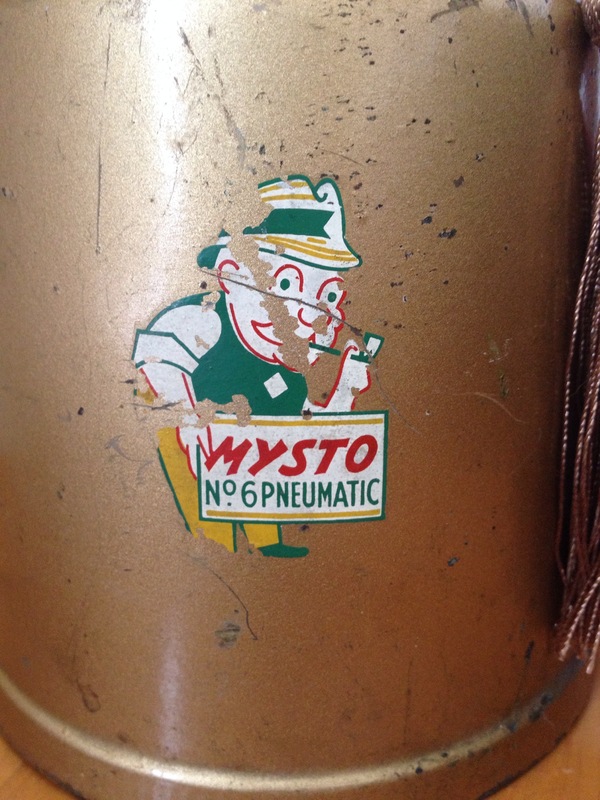 It was broken when I bought it holding no pressure. 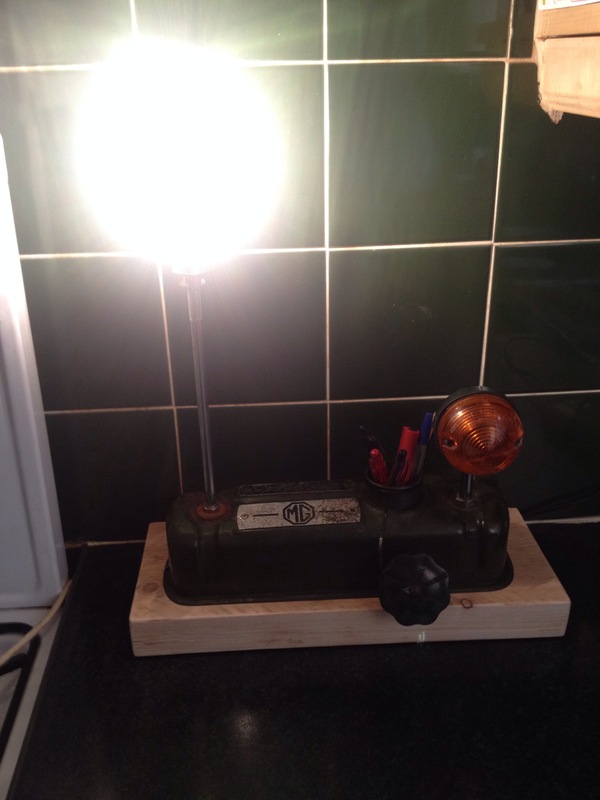 I tried to fix it without success and so used the pump section to house a new light fitting. 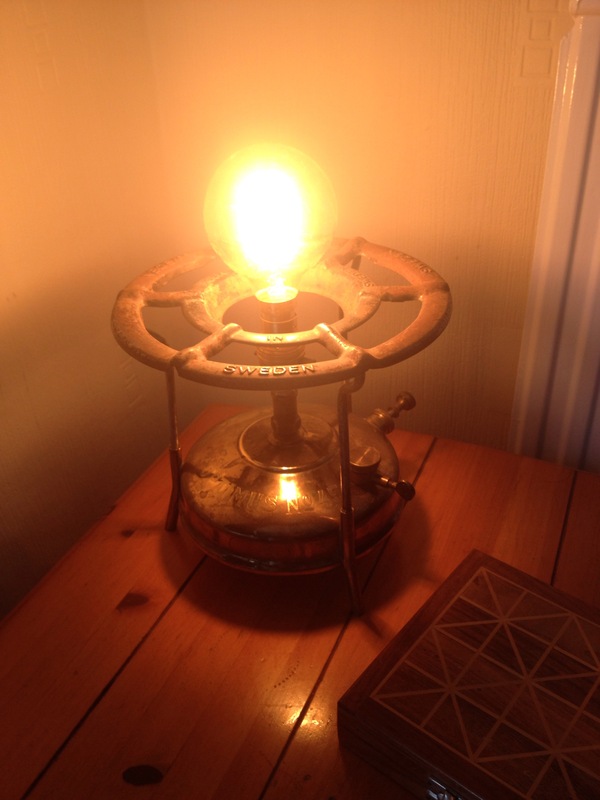 It benefits from new ‘retro’ electrics and ‘retro’ style loop filament bulb. 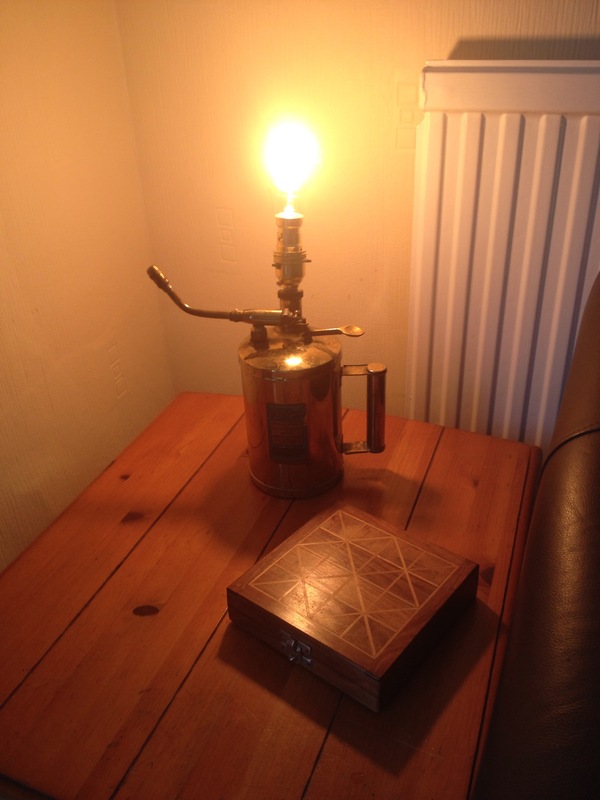 The off square angle for the bulb adds to the eccentric look, the light is warming in any space. It’s like busses isn’t it? Y’want all day and two or three come along all at once. I got really lucky last weekend and found the big brother to Optimus00 (see down the blog roll) and did the makey make. This one is awesome, even of I say so myself. A lovely patina and original burner plate. 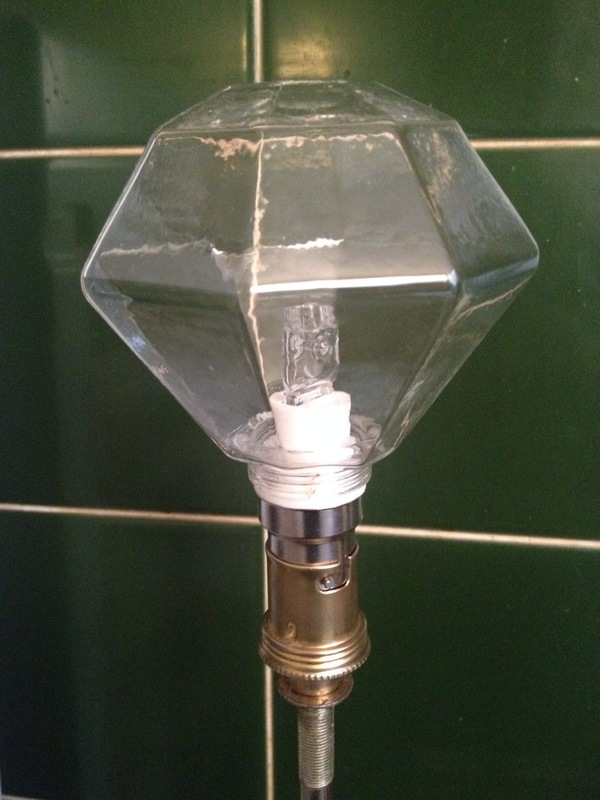 I’ve added the biggest bulb I can find. 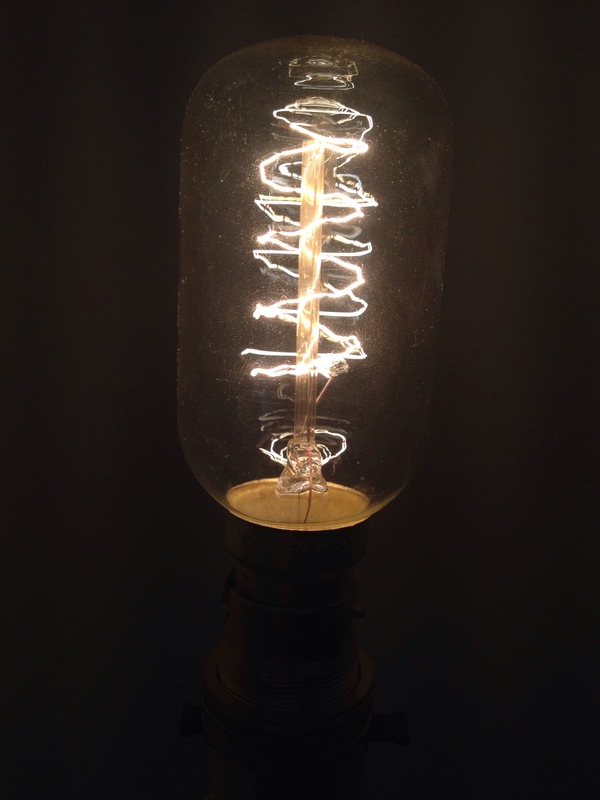 It’s a cage filament and offers an awesome warm glow to the room.